The hose from the berth side got ruptured due to which there was an oil spill in the Bay of Bengal, a Coast Guard official said, adding two Coast Guard vessels have been dispatched to assess the damage. An oil spill of "less than two tonne" off the Chennai coast was caused due to a rupture in a hose of a tanker ship berthed at Kamarajar Port on early Sunday, officials said. The incident occurred at 4.03 AM on Sunday morning when the ship, MT Coral Stars was discharging fuel oil through the 'flexible hose' at the Marine Liquid Terminal 1 at the port. "A helicopter carried out two sorties. A Pollution Response Vessel is on the way from Vishakapatnam. It has been called as a precautionary measure," the official told PTI on conditions of anonymity. Meanwhile, Kamarajar Port said, the flexible hose got snapped from the berth side and the discharge of the fuel oil was stopped by operating the emergency control button. Fuel that was mostly contained in the hose got spilled in the sea in front of the berth area, a press release said. "Preliminary estimate of spilled fuel oil quantity is less than two tonne," it said, adding emergency response mechanism was activated following which the concerned agencies, including Coast Guard, swung into action. Top officials of Kamarajar port, Chennai Port Trust and Coast Guard inspected the site while the state government officials were also briefed about the matter. 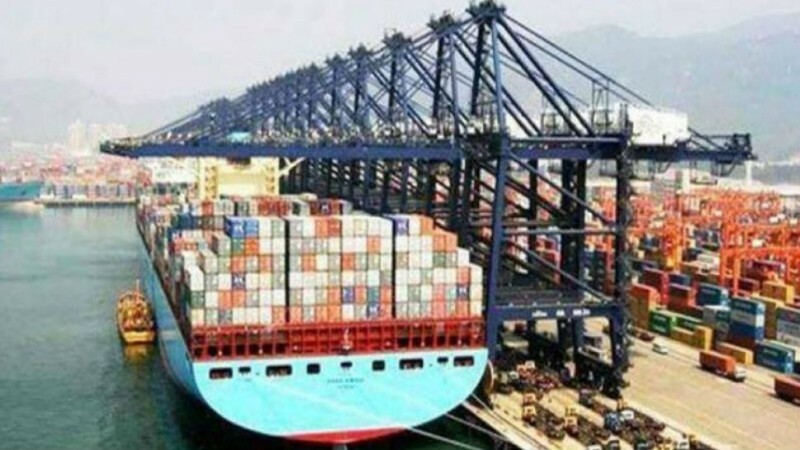 Kamarajar Port authorities have deployed "fence boom" around the vessel in order to arrest the spread of spilled fuel oil into the sea, the release said. "Recovery of the spilled oil was going on with the use of skimmers and absorbent pads. The full recovery process was expected to be completed by tomorrow," it added. It may be recalled that an oil spill occurred on January 28, 2017 when two cargo ships collided in the Bay of Bengal near the Ennore Port. Nearly 5,700 people representing various agencies took part in the clean up operation for nearly a month.